As Leyya Tawil tosses back her head of curls and stretches into a graceful arc, she casts a silhouette on the wall behind her. Grounding all of her weight on her left leg, she pulls her right leg off the dark hardwood floor and folds it into a precise right angle. Swirling around her like a human cyclone, three dancers leap and twirl to warm up. As the setting sun paints the room with fire, the dancers pound the floor with their rhythms, while Tawil observes. Her advice seems nonsensical to the uneducated observer. “Draw more of a squiggle, not a circle,” she says. The dancers seem to speak her language and gyrate their hips even more. 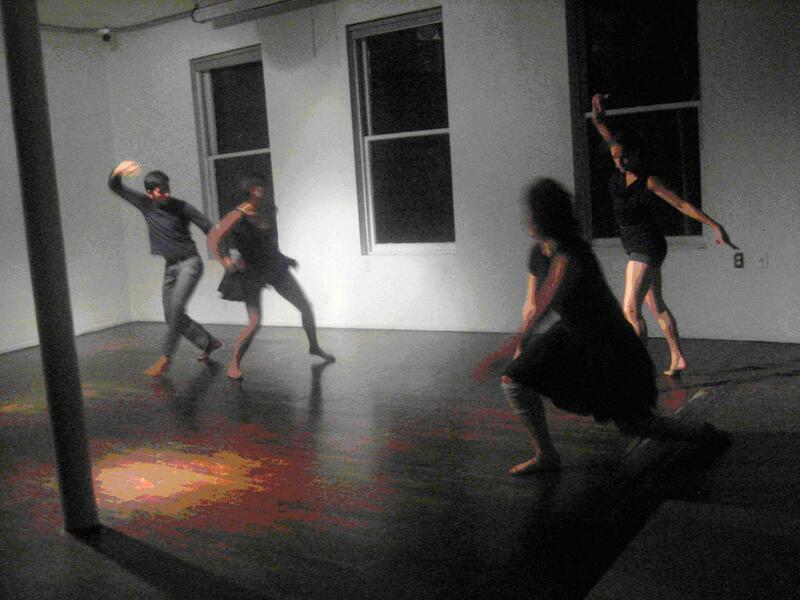 It was on a brisk October evening when Tawil, a San Francisco-based modern dancer and choreographer, performed in New York City with her contemporary dance troupe, Dance Elixir. The 11-person troupe, which will relocate to New York City in early 2010, recently performed at Manhattan’s Alwan for the Arts, a cultural center that features Arab-American performing and visual artists. Yet Tawil, who is Arab-American, insists that she puts her work as an artist before her Arab identity. Tawil especially insists that as an Arab-American artist, she must show others how the Middle East generates a wealth of diverse—and modern—art forms, many of which are completely different from the traditional folk forms that outsiders have come to associate with Arab culture. “We don’t just have a desert and terrorist icons,” said Tawil in a telephone interview. Although Tawil does not consciously market herself as an Arab-American artist, she still acknowledges the growing art movement in the Middle East — a movement, she said, that has not been fully recognized by the rest of the world. According to Tawil, few understand how progressive Middle Eastern culture is. Born in Detroit, Michigan to a Palestinian mother and a Syrian father, Tawil readily admits that dancing is in her blood as much as her heritage. As a child growing up in Deerborn, a suburb of Detroit and home to one of the country’s most concentrated Arab-American communities, Tawil attended many Arab weddings, grand affairs that always, Tawil said, had dancing. At 15, Tawil entered a high school performing arts program and danced daily. Tawil’s turning point came after a freak accident prohibited her from dancing at all. “I was like ‘Oh my God, I can’t dance!’ It was kind of life changing. During that month of recovery, I needed to dance,” she said. Tawil fell in love with modern dance. “Part of contemporary dance is that there’s real humans dancing,” she said, adding that genres like ballet, where dancers must act as “fantastical nymphs” onstage has no appeal to her. Perhaps this is why Tawil, who realized even at a young age that traditional Arabic art forms like belly dancing was a take on an “Orientalist view of the culture,” strives for artistic realism. Her body and her art, not her heritage, is the main spectacle. After graduating, Tawil moved to the San Francisco Bay Area to study choreography at Mills College in Oakland, and start Dance Elixir, in 2003. Since then, Tawil has also toured in Beirut, Lebanon. Ironically, her mission to put her work before her heritage is a mission within itself.